Millions of people around the world suffer from the embarrassing condition of halitosis, better known as bad breath. The problem is that many people don’t know they have it. It’s almost impossible to smell your own breath, and often, your friends and family are too embarrassed to tell you. This is our review of Progressive Health’s Clorial – bad breath pills that are said to help neutralize the bacteria that lurk in your mouth, and on your tongue and gums. These bacteria not only cause your breath to smell foul, they can also contribute to unhealthy gums. 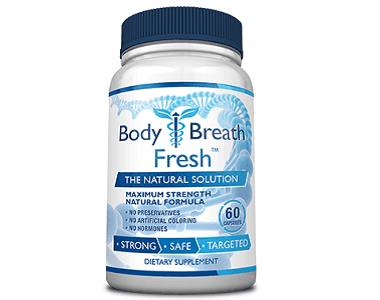 These tablets are said to work not by masking the smell, but by working from the inside to eliminate the causes of bad breath – the odor causing bacteria and unhealthy gums. What’s in Progressive Health Clorial? Vitamin C (as Ascorbic Acid) 325 mg – this vitamin is essential for tooth and gum health, as a deficiency can result in the swelling and bleeding of gums, which stimulates the proliferations of odor-causing bacteria. Folic Acid 1000mcg – effective in treating gingivitis (inflammation of the gums), another cause of bad breath. Co-Enzyme Q10 15mg – a compound found in our bodies that is useful for treating periodontal disease, a leading cause of halitosis. Lactoferrin 50mg – billed as Clorial’s most important weapon, this is a substances that helps to prevent the growth of the bad breath-causing bacteria, including Streptoccus mutans which is also a major contributor to tooth decay. Thyme Powder (Thymus vulgaris) (leaf) 6mg – thyme oil has some antibacterial properties while thymol, a component of thyme, help to prevent the growth of micro-organisms associated with tooth decay. Eucalyptus (leaf) 6mg – Eucalyptus leaf and its extracts have well known antimicrobial and antifungal properties, and has been proved to be effective in providing protection against five types of oral bacteria. Peppermint Oil (Mentha Piperita)(leaf) 500mcg – peppermint oil not only tastes good and makes the mouth feel fresh, it also increases salivation which helps to prevent the dry mouth conditions that contribute to bad breath. Xylitol – a natural sweetener which is also said to reduce tooth decay as well as the build up of the bacteria that cause bad breath. 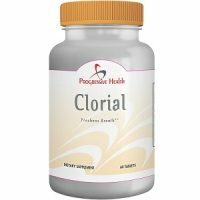 How do you use Progressive Health Clorial? Chew and swallow two of the tablets and then have a glass of water. To be effective, the manufacturer recommends that you continue to use the product every day for a minimum of 45 to 60 days. Progressive Health warns that while some people may experience immediate results after taking the tablets, others may only experience relief from the condition after taking the tablets for several weeks. There are 30 servings (60 chewible tablets) in each container. A one month supply will cost you $49.95. However the manufacturer also offers special deals for purchasing more than one container at a time. If you buy three containers for $149.85, you will get a fourth one free; and if you buy four containers for $199.80, you will get two additional containers free of charge. The buy-four-get-two-free deal also come with free delivery. Progressive Health Clorial comes with a 180-day money-back guarantee (less any shipping charges) on any returned, unused bottles. Progressive Health Clorial chewible tablets are said to work by eliminating the main causes of bad breath rather than simply masking them. They contain several types of sweeteners, which makes them palatable for chewing. However, you might have to keep taking them for several weeks before you notice any difference. In addition, the manufacturer warns that even after months of chewing these tablets, you still might not experience any relief if your bad breath is caused by an underlying medical condition such as an infection in your nose, windpipe or lungs, chronic bronchitis, sinusitis, diabetes, liver or kidney disorders or a disorder of your digestive system. This is unlikely to be the remedy for you if you just want your breath to smell fresh after consuming garlic and onions. It might be the answer if you suffer from chronic bad breath.